The fall in global stock markets towards the end of 2018 contributed to a collapse in total returns to Norwegian fund investors, with 2018 being marked as the first year in a decade in which retail investors became net sellers of funds, data published by the Norwegian Fund and Asset Management Association (VFF). Net redemptions of funds hit NOK4.1bn (€420m) for retail investors, although net sales were positive overall across all investor groups, of some NOK32bn (€3.28bn) across the year. Despite the hit to returns from market developments in the latter stages of the year, most retail investors kept cool heads and sat through the storm, said Bernt S. Zakariassen, VFF chief executive. The overall net NOK32bn in sales were mainly due to investments in different types of fixed income funds (NOK23bn), while the remainder was accounted for by equity and balanced funds (NOK8.5bn). Institutional investors were net buyers to the tune of NOK17.4bn (€1.78bn), while an additional NOK15bn was put into funds behalf of pension related investments, including pension schemes with selection opportunities, unit linked products, and the individual pension savings regime, IPS. Foreign investors were also net buyers, to the tune of NOK3.4bn (€348m), and VFF noted that it was the first time since 2013 that this was the case. Looking at total industry assets, VFF said that about half are invested in equity funds, some 27% in bond funds, and 9% in money market funds. 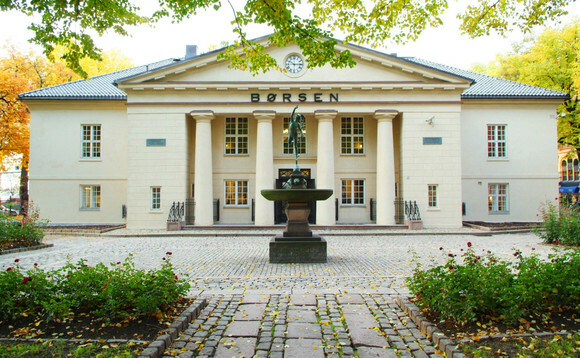 The value of industry assets was NOK1,129bn (€115.7bn) at year's end, VFF said. "2018 is a reminder that investing in equity and balanced funds should be long term. In 2018 all equity and balanced fund categories have on average produced negative return. Over the past five years, meantime, global equity funds have returned 10% return on average annually, while Norwegian equity funds have given 8.8%," Zakariassen added.